The Scala Sancta, or Holy Staircase, were encased in protective maple in 1723 in a bid to protect the steps from years of use. 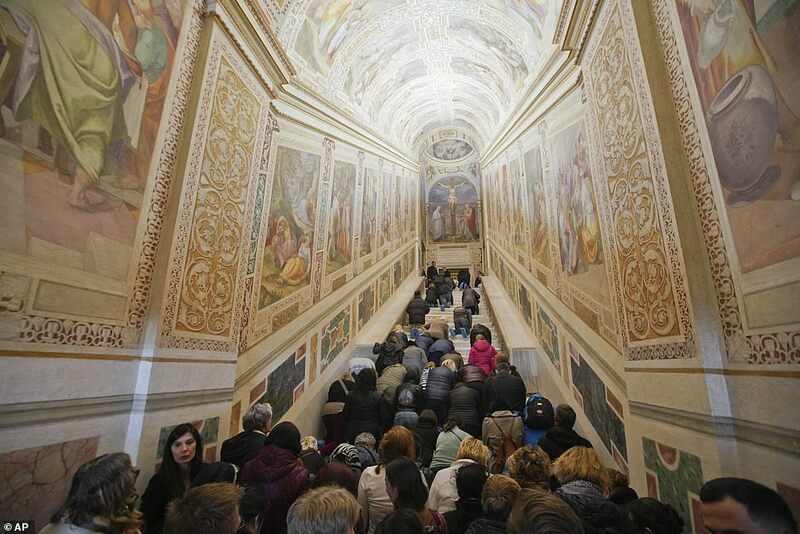 The stairs were last opened in the ’50s and as work commenced this year to see them opened again, experts from the Vatican Museums found notes and other offerings that were shoved under the planks. Guido Cornini, a curator from the museums, said: ‘If you close your eyes for a moment, you can imagine yourself back in the medieval era, the last time that people scaled these steps on their knees.